The town began on a ranch belonging to Sam Lazarus. 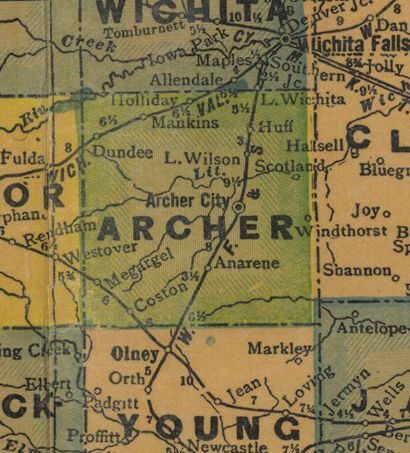 The Wichita Valley Railroad had extended a spur to the ranch headquarters (just north of the present-day site). Lazarus built a church and the railroad built a loading facility. It went by the name Lazarus Switch unil 1908 when the ranch was bought and a store and hotel built. 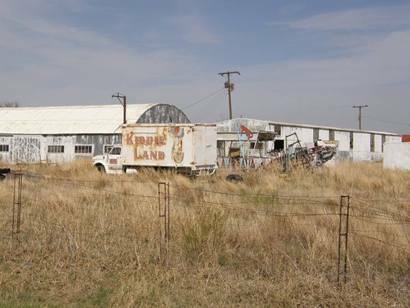 The new owner, Charles Mangold platted a townsite just south of the former ranch headquarters which was also home the ranch foreman (and storekeeper) Tom Mankins. Mangold was evidently a modest type, for he allowed the town he was building be named for Mr. Mankins. The 1914 population has been given as 55 residents. Mankins had an nearby oil discovery in the 1920s, but nothing remotely approaching the oil booms of other towns. 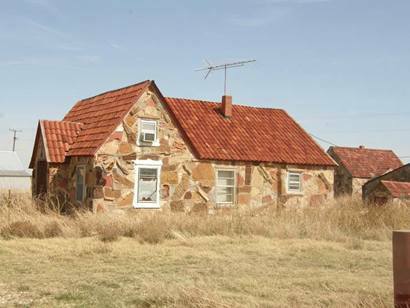 There was no population explosion and the 85 residents that lived there in the late 20s remained in place through the Great Depression. 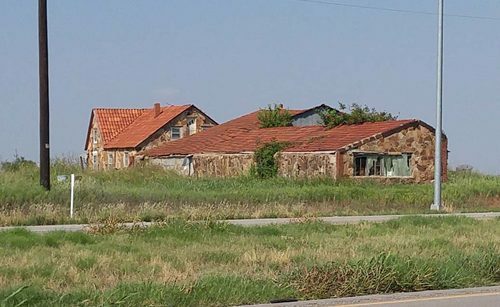 The town spent some of its oil revenue on a large two story brick building that served as high school, church and community center until it was destroyed in a 1938 tornado. 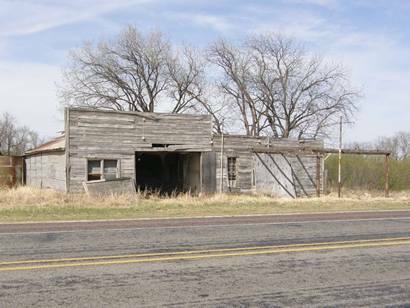 The 1950 census reported 120 residents and by the early 1960s, the town had lost its post office. The population had dropped to a mere 50 at the close of the 1960s. The Mangold estate still owned much of the original plat – preventing growth. 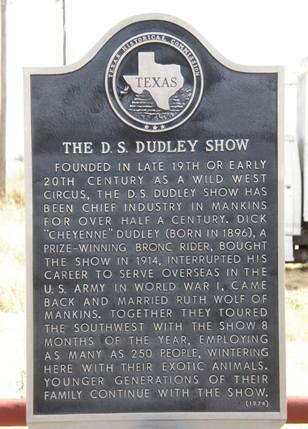 Mankins was once the wintering grounds for The D. S. Dudly Show, a multi-generational circus / carnival, into the 1970s. 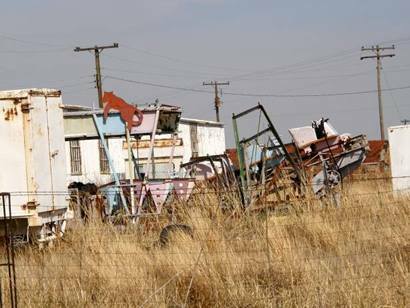 The 1990 population of 45 has declined to an estimated 25 Mankanites by the year 2000. 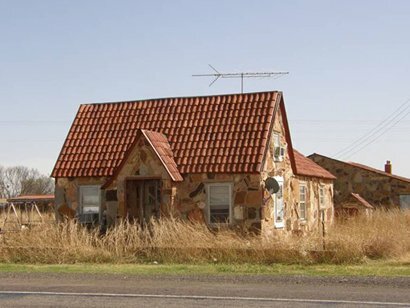 Mankins is included in More Ghost Towns of Texas. 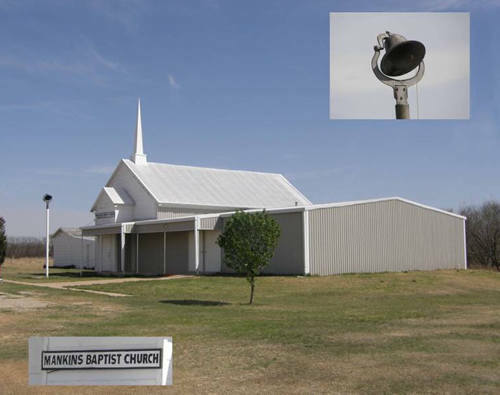 "My wife is a teacher in Wichita Falls and works with the Pastor at the Mankins Baptist Church. Once while visiting the church I was speaking with an old-timer that had lived in Mankins his whole life. 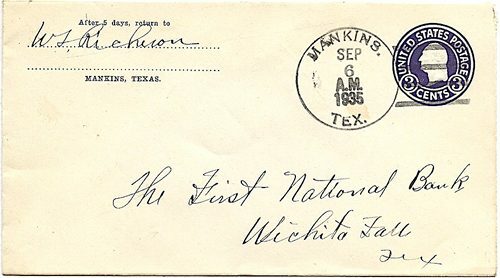 He told me that Mankins was the only place in Texas that a Chimpanzee had been killed by an automobile. This of couse peaked my imagination and interest so I had to ask how. 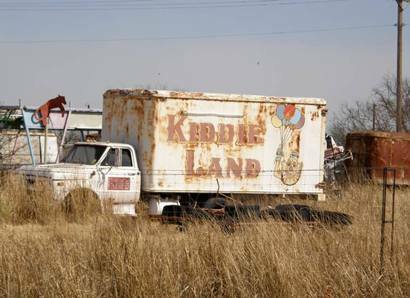 He said the Dudley show folks lived there and apparently had some animals. The Chimpanzee got loose, ran out onto the highway and along came a semi. As you can imagine, the rest is history. 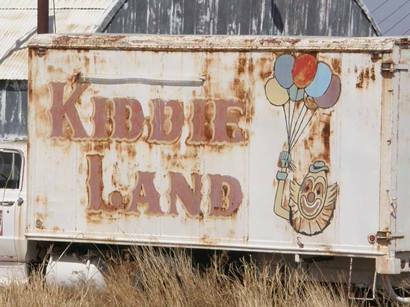 Is this the end of Kiddie Land?